Wollongong Harbour Lighthouse | Lighthouses of Australia Inc.
Wollongong is the only point on the eastern coast of Australia which has two lighthouses. 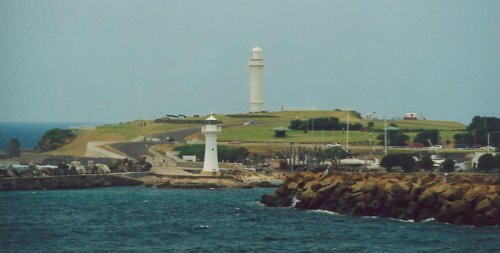 The old Wollongong Harbour Lighthouse is located on the end of the breakwater, and assisted the passage of vessels into Wollongong Harbour. The lighthouse was built in 1871. It is situated in the Belmore Basin on the southern breakwater. Edward Orphan Moriarty, the Engineer-in-Chief of Harbours and Rivers Department, NSW, designed the Lighthouse. The tower is constructed of wrought iron on a ferro-concrete base. 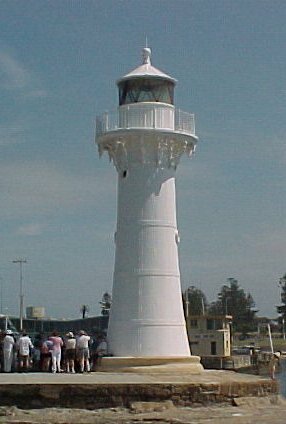 Joseph Mather won the contract to build the lighthouse, as well as an identical one which was built next at Ulladulla, later moved to Warden Head. The wrought iron plates were manufactured and assembled in his foundry, after which they re-assembled them on site. It is not known when the original oil burner was replaced. Gas was supplied to the town in 1883. It is known in 1908 that a Kern Gas Burner was installed. An acetylene gas burner was installed in 1916 and was considered to be a great improvement. Again it is not clear when the light was upgraded to electricity. Some believe 1922, others as late as 1947. 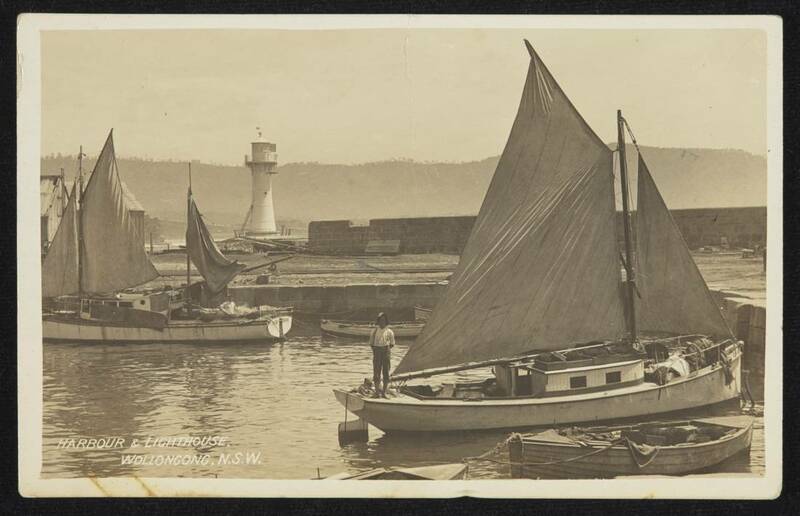 Harbour & Lighthouse, Wollongong N.S.W. The first request for a lighthouse was made in 1866 by the Wollongong Borough Council. Until the lighthouse came into service a temporary red light was fixed in a box at the end of the pier. 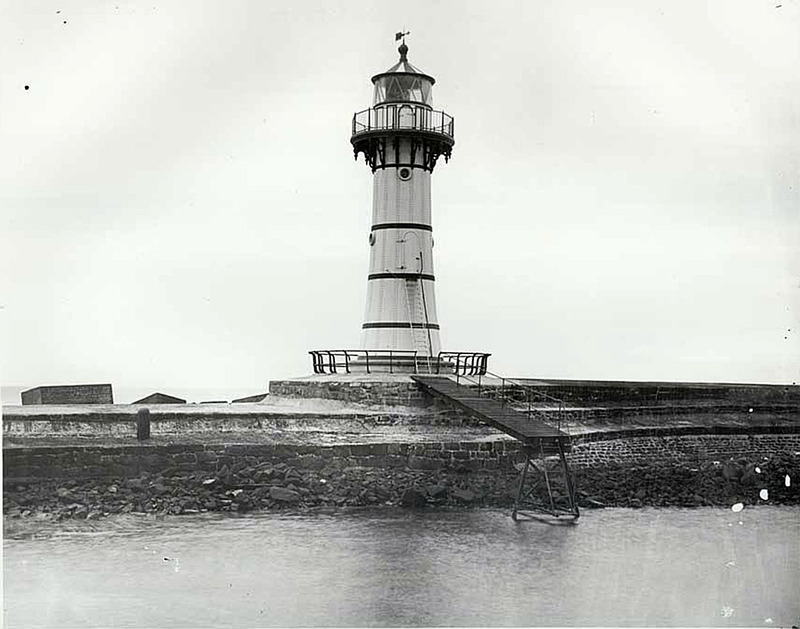 While the lighthouse was being constructed there was concern that the tower would not survive in gale force weather, and that under these conditions the keeper would not be able to reach it on the end of the breakwater. Work was delayed by heavy seas which the lighthouse tower did survive. 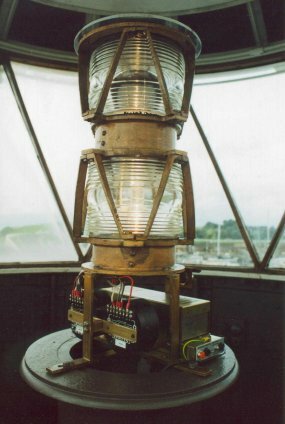 Even though the lantern was installed in July 1871 the light was not exhibited regularly until January 1872. The original Chance apparatus was dismantled about 1970 and the Maritime Services Board of NSW proposed to use it at Eden on the South Coast. 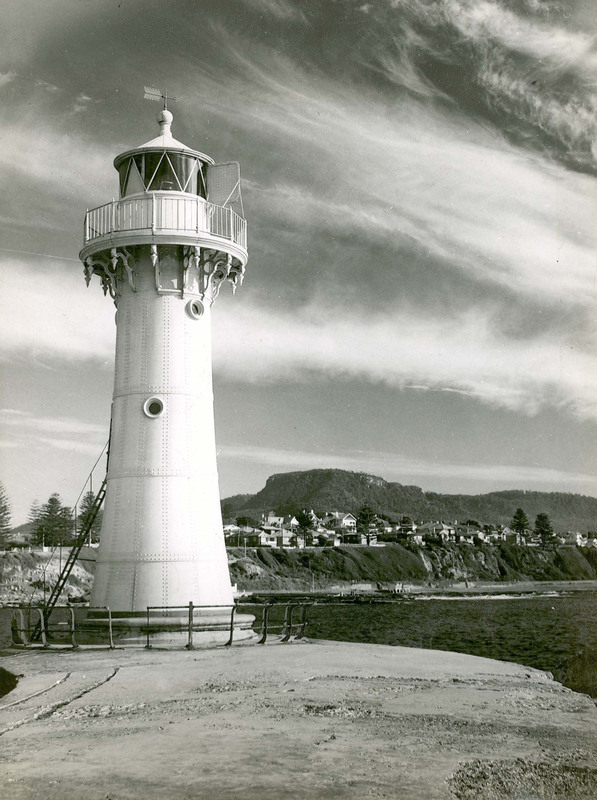 The new Wollongong Head Lighthouse was constructed on Flagstaff Point to the south of the Breakwater in 1937 and took over as the major light in the area. The breakwater light was extinguished in 1974. Due to years of neglect the wrought iron plates, railing and footing had deteriorated so much that the lighthouse was considered for demolition in the 1970s, however the Wollongong community called for its retention. This light was placed on Register of the National Estate in 1982, and local organizations contributed to its full restoration in 1978-79. The lighthouse was transferred to the NSW State in 1997 and is now under the control of NSW Department of Industry (Lands). It is still the original configuration, divided into three storeys with wooden floors, each storey being connected by iron ladders, the ladder from ground level being outside. A complete restoration was begun in 2000 and when near completed it was exhibited for the first time in 18 years in March 2002 to coincide with the IALA Conference in Sydney and the Lighthouses of Australia Annual Dinner in Wollongong. LoA’s own Ian Clifford was heavily involved in organising the relighting including preparing the apparatus and setting an historically correct flashing sequence. Character Group flashing (3) white and red 20 seconds with the red sector from 217 degrees through to 180 degrees. Notes Restored light is relit for special occasions. The lighthouse breakwater is accessible all year.